Side view of the Love & Sleep mattress from Nest Bedding. Top view of the Love & Sleep mattress from Nest Bedding. Corner view of the Love & Sleep mattress from Nest Bedding. Combining breathable, durable, USA made Energex foam with our SmartFlow Air Flow layer, and the support of high density Edge Support base foam, the Love & Sleep Mattress is available in Firm or Medium and features Thermic Phase Change Cooling Fabric for a Cool Night's Sleep For Less. While some companies give you one feel at $600 for a queen mattress, The Love & Sleep Mattress offers you a choice of firmness, phase change cooling fabric, air flow and comfort layering for $1 LESS. It's about time someone designed a better mattress for less, right? Enter the Love & Sleep Mattress. Factory Direct, CertiPUR Certified Foams and no chemical fire barrier means better value and better for you. The Love & Sleep Mattress is unique for its ability to provide the bounce you normally find in a coil mattress but without the coils. Memory foam beds tend to produce more of a stuck-in-the-mud feel leaving you less than inspired in the throes of love. And a coil bed can be too bouncy and even squeaky. The Love & Sleep Mattress, on the other hand, is the perfect combo of bounce and support, and breathable for those hot and passionate nights. And now with Thermic Phase Change Cooling Fabrics to help you sleep cool throughout the night. The Love & Sleep Mattress utilizes a new, responsive and breathable foam called Energex — a high performance, durable and breathable hybrid foam made without latex. CertiPUR Certified for safety. Energex Foam is infused with an assortment of minerals and materials, which when blended together help to naturally pull heat away from the body. And while some companies have a layer of glue between two layers of foam, the Love & Sleep offers an Air Flow Layer of foam to provide more cooling and more conforming for side sleepers. Energex also supports deeper, uninterrupted sleep because it allows a person to turn and move more freely, provides relief from pressure points. This quick recovery and resiliency works to eliminate that “stuck in the bed” feeling common with some Memory Foam beds. Is Love & Sleep the right bed for you? Based on 58 real owner experiences with this brand. How do people like you rate their Nest Bedding Love & Sleep mattress? Mattresses are personal. Filter the 58 Nest Bedding Love & Sleep ratings by sleep position, weight, age, gender and more to find the ones that are most relevant for you. The Nest Bedding Love & Sleep line is recommended by 91% of owners on GoodBed (based on 58 ratings + 19 reviews). 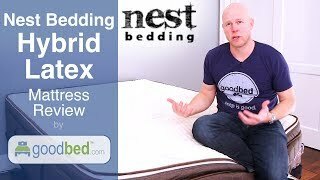 Want more reviews from Nest Bedding Love & Sleep mattress owners? 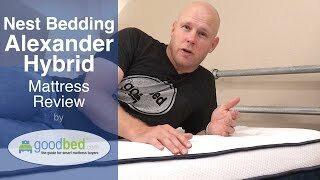 Do you have a Nest Bedding Love & Sleep mattress? Write a Review! Have a question about Love & Sleep products or stores? Note: The product line specifications above were derived from the active Nest Bedding Love & Sleep models listed on GoodBed. As a result, these details may not be comprehensive and may not apply to all Nest Bedding Love & Sleep models. 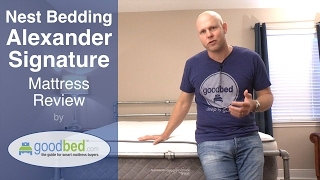 If you are seeking specifications for a particular Nest Bedding Love & Sleep mattress, please search for that mattress by name on GoodBed, or check with your local Nest Bedding Love & Sleep dealer. The Love & Sleep product line is a collection of mattresses released in 2016 that is manufactured by Nest Bedding. The Love & Sleep product line replaced the Love Bed product line. Have an update or correction to our information about Nest Bedding Love & Sleep? If so, please take a moment to suggest an edit. 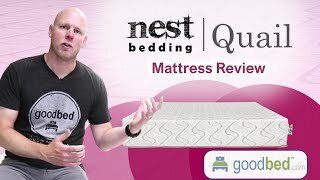 Nest Bedding Love & Sleep mattresses sold by Nest Bedding come with a 100-night in-home trial. Nest Bedding Love & Sleep mattresses are only available online or through Nest Bedding stores. Click here to check for a location near you.